Roman Road Trust is curating a Roman Road Common Vision by bringing together the many environmental initiatives already happening in the area to develop plans for a liveable, healthy neighbourhood. Roman Road is situated in Tower Hamlets which is a borough with exceptionally high rates of air pollution. Tower Hamlets Council has obtained funding from TfL’s Liveable Neighbourhood Programme to improve transport access, pavements, traffic flow, and greening of Roman Road high street to reduce air pollution levels. As part of the proposed changes, the council will be conducting consultations with local residents, businesses, and community groups. Roman Road Trust and other community groups are keen to support and feed into this process. Roman Road is surrounded by many thriving green and environmental initiatives such as Cranbrook Community Food Garden, Plastic-Free Roman Road, Friends of Meath Gardens, Butley Community Orchard, Tower Hamlets Wheelers, and Better Streets for Tower Hamlets. Our aim is to bring local groups, businesses, and residents together to support London’s ambition as a Green City and TfL’s Liveable Neighbourhood Programme. 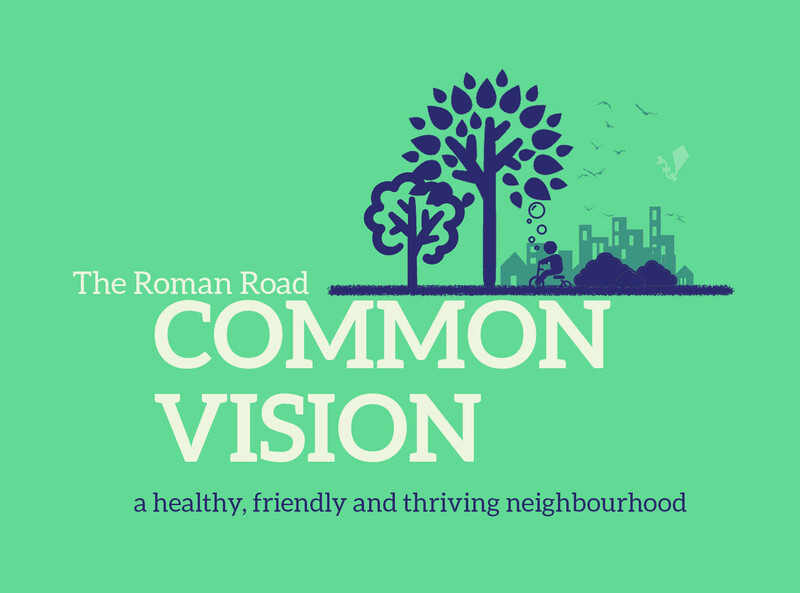 Roman Road Trust will be holding a launch event on Saturday 27th July to raise awareness of the Roman Road Common Vision and build local support.